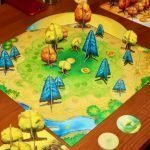 Which Board Games Are Fun for Adults? 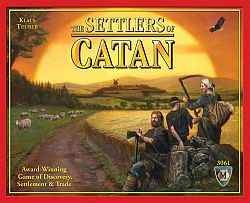 Since 1995, when The Settlers of Catan was published, there have been thousands of new games produced. Some of these are geared for young children, some for teenagers, but I think the vast majority are for adults. This is not to say that adults won’t want to play board games with children or teens. Adults will enjoy many of the games designed for them too. However, there are a large number of games that children are too young to play and that most teenagers just wouldn’t have as much fun with as adults. 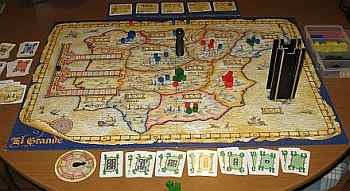 Board games for adults come in many types or genres. Party games are probably some of the more popular. 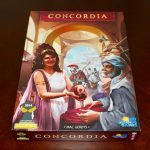 Let’s take a look at a few of these as well as some strategy games, word games, and maybe a trivia game or two. What Is an Adult Party Game? If you came here looking for drinking games or risqué games, you will probably be a little disappointed. I’m not a fan of either of those and will not write about them here. What I will tell you about are some great party games that many adults will enjoy – possibly ones that you’ve never heard about. Here is a short list of some of the best. I’ll briefly describe each one so you can get some idea of whether you and your friends might have a good time playing it. When you first hear the title, The Resistance, you might think this is a war game. It isn’t. The theme of the game is a little war-like, but it’s really more about sabotage and social deduction. You play the role of either a Resistance Operator or an Imperial Spy. You need to figure out the identity of the other players, so you know whether to work with them or against them. Each round, your leader gives a set of plans to a certain number of players. You vote whether to approve the assignment or not and then, if approved, you secretly decide whether to support it or sabotage it. If the mission succeeds, the Resistance wins. If not, the Empire rules. Whichever side wins three rounds wins the entire game. 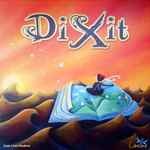 Dixit is a game I’ve recommended for teenagers too, but it also plays extremely well with adults. A storyteller selects a card and briefly describes it. Players also select one of their own cards that they think might match the storyteller’s description. All chosen cards are shuffled and shown. Each player then picks the card he thinks was held by the storyteller and scores points if right. Time’s Up is a fun variation on charades. You have 30 seconds to get your team to guess as many answers as possible. In each of three rounds, what the clue-giver is allowed to do changes. In round one, pretty much any kind of clue is okay, but the giver may not pass. In round two, you can give only one-word clues, and you may pass. In round three, you can’t speak at all (as in the original charades), and you again may pass. 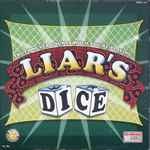 Liars’ Dice is somewhat of a classic in that there is a public domain version with slightly different rules. Each player has five dice and a dice cup. You roll the dice but keep them secret. In turn, each player makes a declaration about what he thinks is true of all dice (not just his own). For example, you might roll 2 threes, 2 fours, and a six. You say, “There are 3 threes,” hoping that someone else has rolled at least one more three. Eventually, someone will challenge someone else’s statement. Everyone reveals their dice to determine the truth of the last statement. If true, the challenger loses some dice. If false, the player who made the statement loses some. The goal is to capture all the dice. Which Strategy Games Make for a Good Time for Adults? 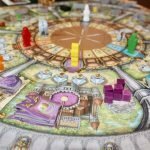 If you like to put your brain to work a bit more than usual while playing board games, I’ve got several excellent games for you to try. By general consensus these are among the best currently available. Terra Mystica, as with many of these strategy games, has too many rules to explain in detail here, so I can only try to give you a general feel for the game. 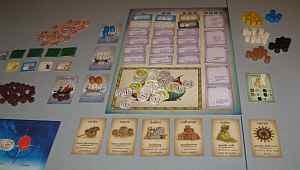 You play as one of 14 different peoples inhabiting a land made of various types of territory. Your people prefer one type over all the rest and so will attempt to terraform other lands into the kind you like. Of course, everyone else is trying to do the same with their own peoples. You use available resources to gain more workers, make money, acquire special abilities, and more. Religion and cults play an important role too. You earn victory points in many different ways; the player with the most at the end is the winner. Terra Mystica is considered a heavy game; it’s not the best one to start with if you’ve never played strategy games of this type before. You might instead try a game with a long name, Through the Ages: A Story of Civilization – often abbreviated TtA. Through the Ages has many components – cards, worker tokens, corruption markers, bits for tracking both regular and military actions, scoring track cubes, player boards, and a main board – but it’s fairly easy how to use each of them. In short, you try to build a civilization that is stronger and more productive than everyone else’s. You compete for resource cards, wonders of the world, world leaders, and military power. The player who can put all of those elements and more together in the most efficient and powerful fashion will win the game. 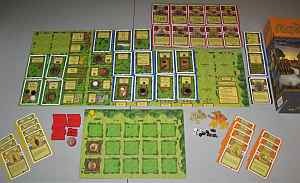 Agricola (uh-GRI-ko-la) is Latin for farmer. the name makes sense because this game is all about building a productive farm. You start with two workers who will each take an action on the main board – as long as no one else has taken that action first. You also start with a hand of cards which are seven occupations and seven (minor) improvements. Each player’s hand of cards is unique and can benefit the owner in various ways. The options for improving your home board; that is, your farm, increase with each of the 14 rounds in the game. You try to expand and improve your home, build your fences and stables, increase your flocks and herds, plow your fields so you can grow your grain and vegetables, increase the size of your family, and try to prevent any of them from going hungry. At the end of the game, you can earn points for successfully doing each of those things. 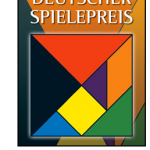 The player with the most points wins. Puerto Rico is a game of producing crops in factories, selling them for money, or shipping them ostensibly to other countries. You gain victory points from building factories and other buildings and from shipping your crops. You might also get extra points for constructing more expensive buildings and activating them before the game ends. Again, the player with the most points will win. What’s the Good Word for Adult Word Games? I would be very surprised if you had never heard of Scrabble (or its popular online Facebook counterpart, Words with Friends). You probably have also encountered Balderdash, Boggle, Bananagrams, and Taboo. All of these are good, but have you ever played Word on the Street? This game consists of just 17 letter tiles which are laid out in a row in the middle of the “street”. On your turn, you (or your team) tries to use as many of the tiles as possible in response to a category revealed on a card. For example, if you had to name a fruit, you might decide on “orange”. You would only claim the r, n, and g because there are no vowels in the street. The more uncommon letters, j, q, x, and z, are also not used in the game. The first side to claim eight letters wins. What Kinds of Trivia Make a Good Game? Here you answer trivia questions in various categories drawn blindly from a bag. You get to arrange those categories in your order of preference so you can score the most points (from 1 to 4) for the one you think you know the most about. There is also the chance to steal points from other players by answering their questions and to swap categories with them, hoping to get a better one than you give. So take your pick. All of these games are fun with the right group of people and frame of mind. Find one you think you’ll like and give it a try. 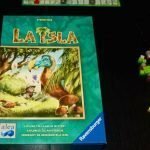 In addition to the games described above, here is a list of some more fun board games you might be interested in. Check out the other age categories too. If you have children or grandchildren, look at the Kids page. Many of the games intended for teenagers and college students are just as much fun for adults. Don’t forget to read some of the individual reviews of some great games too. Excellent article, I wonder why I didn’t bookmark your blog earlier. Keep on posting.